Want to go on vacation and come back to a trained dog? Or what if your dog’s already trained, but you want a refresher or take it to the next level? 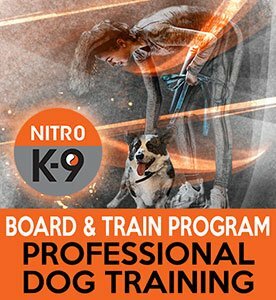 Nitro K-9 offers a Board and Train option that uses our Hands Off Program in conjunction with the kennel of your choice. We primarily work with the Adorable Pet Lodge, but can come to most kennels where permission from the kennel owner is granted. Board and Train is available for Levels 1, 2, and 3. Send us an email if you need some help coordinating.